From the bold geometric patterns that took the runway by storm, to the leopard print love that flooded the streets in the form of coats, hats, and accessories details, the trends from the 2018 Fall and Winter New York Fashion Week captivated us. Vivince Event Studio followed four of our favorite designers and highlighted the new designs and inspirations they brought to the runway. What’s more elegant than sporting solid black? Dressing in the head-to-toe in the charcoal color exudes effortless confidence and undoubted class, it was wonderful to see this displayed by YSL as they lead the way with sharp styles in solid colors. Plunging velvet black v-necks made their appearance, as well as sweeping onyx capes and dainty jet black lace. 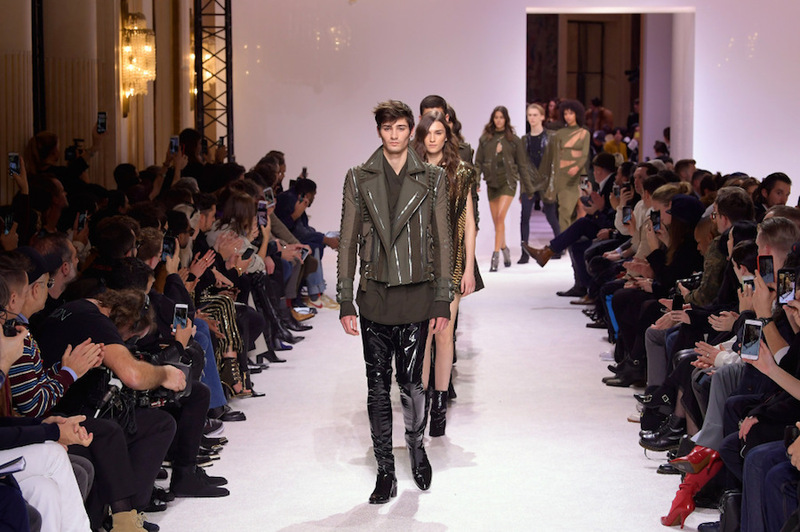 Balmain’s Fall and Winter collections glistened brightly and left the crowd mesmerized. The new line made its debut with a theme of boxy blazers and chic pants suits that had an artistic twist. From unicorn-inspired glam and silver shimmer, to cosmic colors and see-through tops, the 32-year-old designer outdid himself with a line that has everyone seeing stars. When we think color, we think of Oscar De La Renta’s recent collection. Gentle shades of orange and vibrant splashes of pink made their way down the catwalk in a display of vivid beauty. The flowing theme showed up in each and every piece, from billowing skirts to puffy sleeves and sweeping capes. Delicate feminine detail was evident in floral prints and whimsical embroidery that popped on solid black backdrops. The boho twists on these colorful classics had all of us raving, and we still can’t get enough! 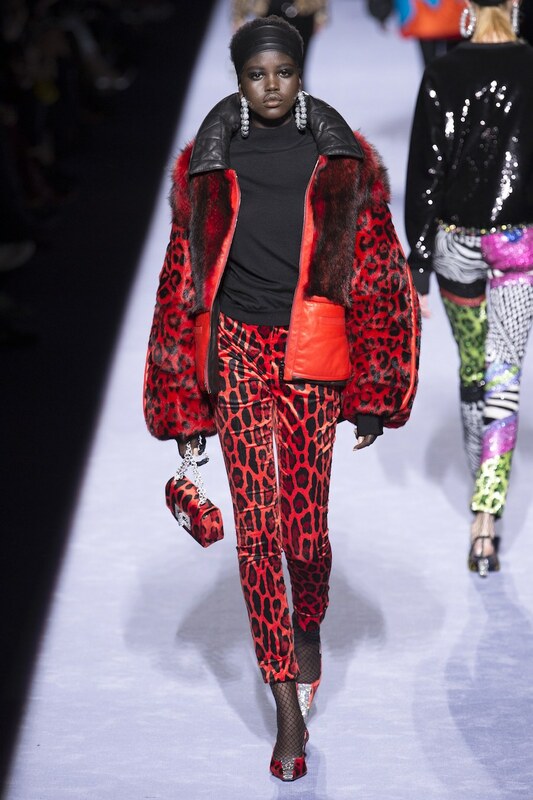 In an array of wild prints, edgy angles, and vibrant colors, Tom Ford’s Winter and Fall collection took the runway by storm. In a creative collaboration, office favorites, classic pants suits, and angular overcoats met in a montage of fabrics and textures that wowed us all. Ford paired cheetah print pants with galaxy glitter tops and a refined black overcoat to tie it all together. Still, others made their way down the catwalk with plastic pants and chic charcoal tops, with wild coats of mixed textures to polish it all off.